Right here, right now. 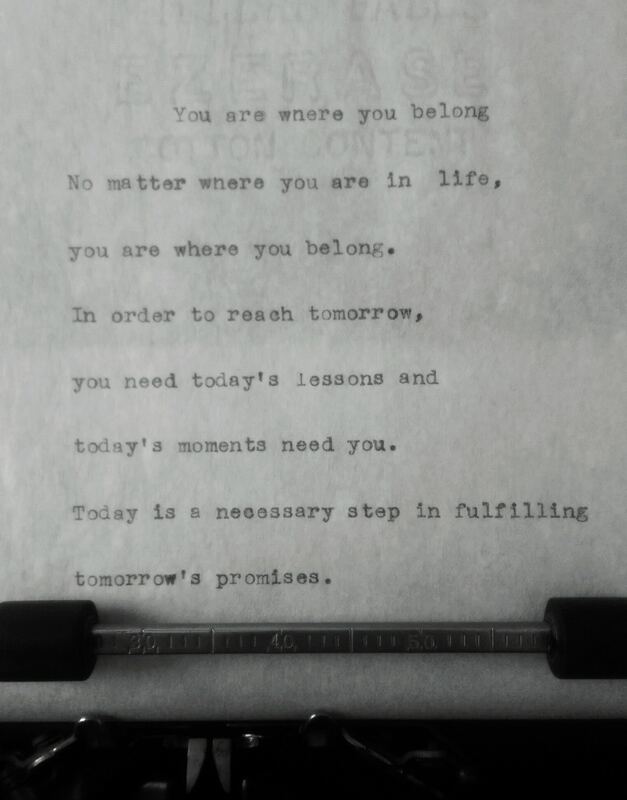 You belong. At this very moment, in this beautiful life, you are meant for this place. 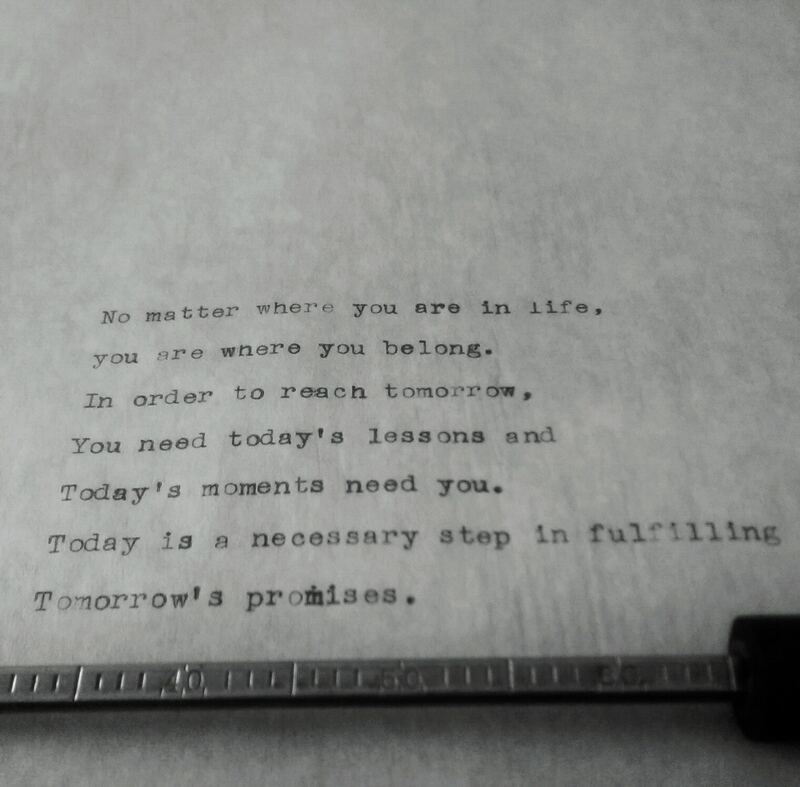 No matter where you are in life, you are where you belong. In order to reach tomorrow, you need today’s lessons and today’s moments need you. Today is a necessary step in fulfilling tomorrow’s promises. Sometimes, we avoid experiencing today. Somewhere inside, it’s possible we believe that we don’t belong here. But nothing could be further from the truth. Without today, there is no tomorrow. And if we discard the importance of living right now, in this very moment, the beauty for which we’re meant sneaks by without a passing glance. We miss the beauty of now. Did you like this Every Day Hope Message? Get your daily dose of inspiration, delivered right to your inbox for $15 per year – sign up at: http://everydayhopemsgs.com/subscribe/ and receive a free instant download of my eBook, Days of Hope: 72 Inspirational Messages Designed to Start Your Day Right. Enter the coupon code HOPE at checkout!